So I decided to break this post up into 3 different ones because it was so damn long. I wanted to make it as comprehensive as possible, including what the animal remain is from a scientific point of view and what the remain has been historically used for by magical practitioners around the world. In this post I am going to simply cover the use of skulls and bones in witchcraft. The next two posts will cover furs and pelts, followed by feathers, fangs, and claws (along with shells and blood). It is important to note that animal remains do not preserve well overall. That means for ancient cultures, much of what we have is either interpreted from historical texts or noted in myths and legends passed down between generations. Our knowledge is rather limited, but still available. Much of what we know about animal remain use comes from indigenous cultures, especially those of North America and Africa, so please keep this in mind. This is the one witches tend to be the most interested in, and for a good reason. Skulls in particular not only look really cool, but they are the protectors of the consciousness, making them excellent tools for spirit work and divination. Scientifically speaking the skull is the boney structure that forms the head in vertebrate organisms. It not only protects the brain but also provides attachment sites for the facial muscles and cartilage. Other bones provide protection and attachment sites for muscle and tendons, allowing movement and stature. For example, the ribs aid in protecting the lungs and heart, while the femur is specifically used in movement. In general, skulls and bones tend to preserve pretty well, especially in comparison to soft tissue, making them an easy magical tool for a witch that wishes to use them in their magical practice. In witchcraft, skulls and bones have been used in a variety of ways. I mentioned some of these uses in my previous post on A History of Animal Remains in Witchcraft, but felt the need to expand on this topic. Historically, bones have been used in folk-medicine, divination, and spirit work. This includes using everything from the astragalus of a hare to whale ear bones. You name it, there is likely use for it. One of the most famous uses of a bone is the wish-bone from a turkey or other domestic fowl. Either side of the bone is held by a person and pulled until it breaks. The individual with the largest piece will have their wish granted. Other times, the wish-bone is hung above a door to bring love, likely due to its shape (source). The earliest use of bones was likely as amulets and fetishes. Archeological finds have uncovered thigh-bones of mammoths that were carried by nomadic cave dwellers from Belgium. The smaller bones, such as the carpus and tarsus, were perforated and worn as charms as seen in the Museum of Natural History in Brussels and Sommerville's collection at the University of Pennsylvania (source). Other early uses include bone-fires, known today as bonfires, where the bones of animals were ritually burned to appease a deity (source). Other early uses of bones include for divination, as mentioned previously in A History of Animal Remains in Witchcraft. The blade-bone of different animals, including sheep, deer, bear, and ox were used for divination since antiquity, and are still used by certain groups worldwide today. The blade bone was placed into a fire until it cracked in various directions. Once the bone cooled, the splits and cracks were carefully analyzed. One method of reading suggests a long split lengthwise signified the "way of life," while good and bad fortune were read from the lateral cracks (source). In Scotland, the scapula was stripped of flesh and inspected for any semi-transparent parts of the bone. Dark spots were believed to symbolize misfortune, while black spots foretold death. The Irish used a similar practice, except darker spots indicated that someone will be burned out of the house (source). In Japan, scapulimancy dated back to the protohistoric period with the favored bone being from a stag, which is outlined in Kojiki written in A.D. 712. The scorched bones were used to divine luck (source). These Japanese practices were very similar to those found in China, where oracle bones were used. To read about other cultures that also used scapulimancy please refer to my last post A History of Animal Remains in Witchcraft. While not complete, it discusses scapulimancy as well. I do not wish to repeat myself all over again, instead wishing to present you with new information. 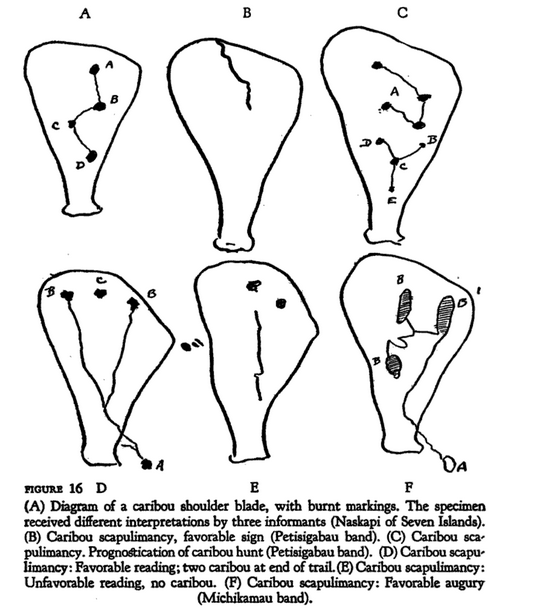 I also strongly encourage you to read Naskapi: The Savage Hunters of the Labrador Peninsula to learn more about bone use in North American indigenous cultures. This is by no means the only source, but it is pretty comprehensive and free. Apart of divination, bones have also historically been used for protection. Across Europe, horse skulls have been found buried under churches, home hearths, in walls, chimneys, and even under threshing barn floors. Historians believe some of these skulls were placed for acoustic purposes, but many believe this explanation evolved later in history to explain away the skulls as many of the skulls found across Europe have no acoustical function. Much of the folklore associated with horses is concerned with luck (think horseshoe), and it is possible our ancestors placed the skulls in the home to bring luck as well as for protection (source). 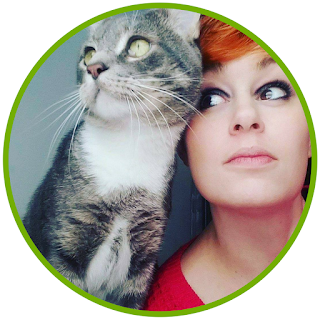 Cats were also commonly placed in the walls of buildings in across Europe, especially in England, Wales, and southern Scotland. It is believed the dried cats were placed in walls for two reasons: to protect the home from vermin and as a sacrifice to the home as the protector from pestilence (source). More commonly, however, animal bones were used in fetishes, an object believed to have magical properties or to be inhabited by a spirit. I could devote an entire post to fetishes alone, and likely will in the future, but for the sake of this article, be aware that fetishes include a variety objects, including the famed rabbit's foot. There is a great article on the rabbit's foot as a fetish you can read here. Bones have also commonly been used in folk medicine. The astragalus of a hare could be carried in the pocket as a charm against rheumatism while in powdered form it was drunk with water for its diuretic properties. Stag heart bone, a white irregular bone that is sometimes found in the heart of a stag or ox, was used to remedy heart troubles and prevent abortion. Dried pike jaw-bones were dried and powdered to cure leucorrhoea (not sure why they would be trying to cure this, but whatever) as well as to facilitate easy childbirth. Lamprey and lizard spines were given to children to strengthen their bones while powdered human bones mixed with red wine were believed to cure dysentery. You can read more about these uses in The Hand of Destiny. Today, skulls and bones are used for a variety of purposes. Skulls and bones can be used as a holding vessel during spirit work, whether by the spirit of the animal who originally inhabited the body, by other animals of the same species, or by other spirits entirely. Summoning or invoking a spirit to the vessel can aid you in your communion or spellwork by allowing you to draw from their qualities, especially those of animals. 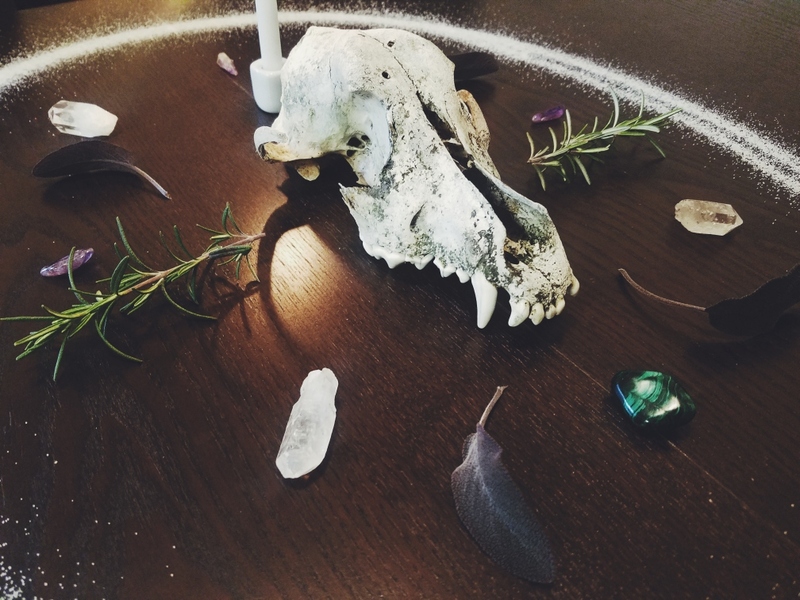 In ancestor work, the animal spirits inhabiting the bones can act as mediators, messengers, and even guardians or protectors during ancestral work or spellwork. As mentioned above, skulls can be used for divination by gazing into the eye sockets or even into the base of the skull. Being the seat of consciousness, any images or messages received are thought to be from the spirit inhabiting the skull. You may want to check your results with other divinatory methods to confirm the results. 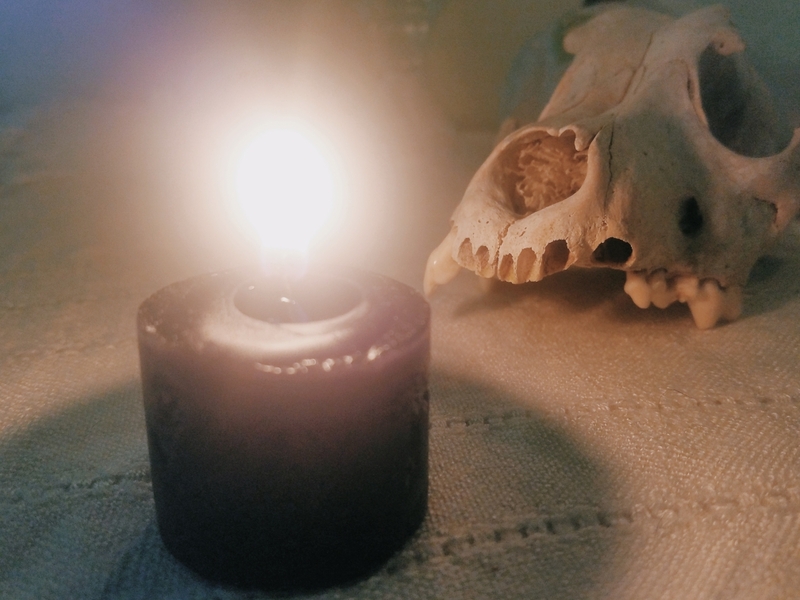 Furthermore, bones can be used as ritual adornments, ritual tools, in sachets or witch balls, as altar decorations, bone tarot, and other forms of spellwork that require the characteristics of the animal whose bones you are using. I tend to keep deer antlers around when hedge riding because deer are believed to be able to cross easily between realms. Recently, I invoked the spirit of the coyote by using a coyote skull during my deep house cleansing ritual. 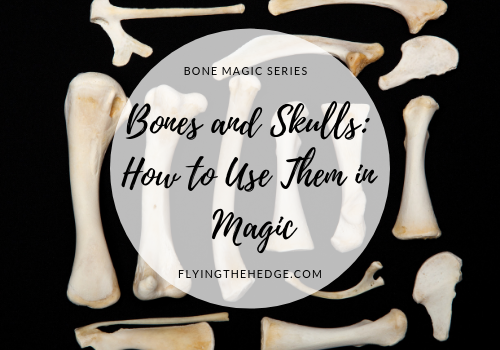 In the end, there is a myriad of uses for bones in your craft, from spells to rituals to spirit communication. Have you used bones recently in your practice? I'd love to hear how you use animal bones to enhance your craft! Interest in the rest of the series? Here's what's to come! Looking forward to the cleaning section of this series! I found a deer skeleton in my favorite park. I believe I know the deer it was and kept the skull. I love finding bones. It is one of my favorite hobbies. As a witch and a biologist who grew up with a nature loving family and hunter father, I have more bones, shells, and other animal parts than I sometimes know what to do with! Haha! Thank you for reading! You have quite the collection! Thank you for reading!